Cambridge Epigenetix said today it has strengthened its position in epigenetic biomarker discovery by licensing technologies from Boston Children’s Hospital that the company said could improve the diagnosis and treatment of cancer and other diseases. Through an exclusive license agreement whose value was not disclosed, Cambridge Epigenetix said it has licensed numerous epigenetic lab techniques that are related to profiling and altering DNA methylation. The techniques include the specific and unbiased enrichment of 5mC and 5hmC via enzymatic glucosylation and the use of TETs for targeted epigenetic engineering. The IP covered by the license includes the specific and unbiased enrichment of 5mC and 5hmC via enzymatic glucosylation and the use of TETs for targeted epigenetic engineering. The technologies are intended to robustly profile methylation and hydroxymethylation in limited amounts of DNA (< 10ng), a quantity ideal for clinical samples. 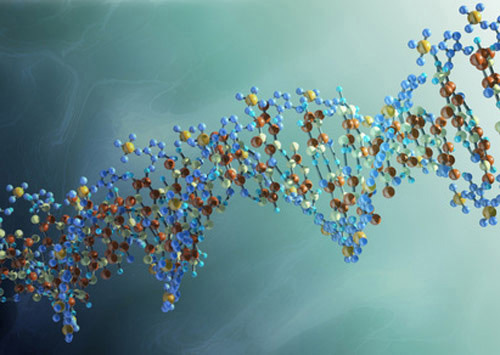 By gaining access to the IP, Cambridge Epigenetix said it can identify epigenetic biomarkers for non-invasive cancer diagnosis and other clinical applications, and build on offerings that include its TrueMethyl oxidative bisulfite sequencing kits for 5mC and 5hmC detection. The IP is based upon work by the research group of Anjana Rao, Ph.D., a researcher specializing in immunology and cancer epigenetics who was formerly with Boston Children's Hospital and is now with the La Jolla Institute for Allergy and Immunology. At the Institute, she is a professor in the Division of Signaling and Gene Expression, and the Pfizer Endowed Chair in Cancer Immunology and Oncology Dr. Rao is also a member of Cambridge Epigenetix’s Scientific Advisory Board. Dr. Rao’s research group was the first to identify 5-hydroxymethylcytosine (5hmC) as an important biomarker for cancer diagnosis that cannot be measured by traditional epigenetic sequencing methodologies. She also determined that the ten-eleven translocation (TET) family of enzymes generate 5hmC from 5-methylcytosine (5mC) and are key regulators of cellular differentiation that are often mutated in cancer.